Cloud computing became a popular trend in E-commerce because of the convenience and the practicality that it offers to its clients. Despite the numerous traditional online network services, cloud computing remains to be the popular pick of the small and medium businesses that are new in the virtual market. • To breakdown the concept of what is cloud computing in simple terms, we need to understand why it was called cloud in the first place. The cloud represents the network of connections established using the Internet. And just like a cloud that is vast and reaches various destinations, this system allows the connectivity among data centers that are situated miles and miles apart. You don’t need to house an entire network of servers in order to cater to multiple websites and offer the best quality service that is comparable with the traditional network services. As how the cloud is collected into a pile that eventually meets its function for the climate, cloud computing is a collated effort and service coming from all these remote data centers that has their own unique functionality to the system in order to deliver the needs of its clients. 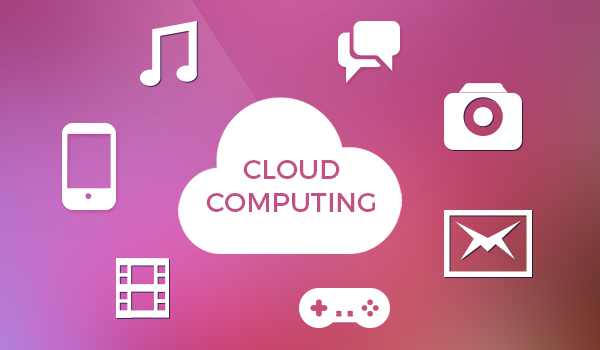 What is cloud computing in simple terms? A vast network that bridges distance and serves quality IT management. • Another way to define what is cloud computing in simple terms is the reference to the Internet. The internet provides the connectivity that makes cloud computing a distinguished kind of network service provider. It can bridge distances as much as it can establish steady connection for its clients. Since the internet acts are its cables that connect one remote server to another, the capacity of cloud computing to expand and limit computer resources is made possible. This kind of flexibility in computer resources made the cloud the most practical choice for entrepreneurs who are just starting to push their luck in the virtual market. Since the budget comes tight for a small or medium business before they finally take their venture to the cloud, it matters that the resources they use are the same services they pay for. Gone are the times that you need to stick with the fixed features with a fixed price, lacking or wasting resources every now and then. The real value for your money is maximizing what you have paid for, and that is possible with cloud computing. What is cloud computing in simple terms? Practical and flexible connectivity. Storage is one of the most needed services of the cloud, since it provides easy access for our data using the Internet. You don’t need to take your data with you and risk losing that hard drive. All you need is the Internet connection to reach the cloud and retrieve your data. This can help employees access the same data at the same time and allow collaborative work. Also, this increases efficiency towards a paperless production of services. The capacity of storage space provided by the cloud is enough for you to tend to the daily bulk of personal tasks. So, if your business needs more storage space, it is better to purchase a reliable cloud computing service and help your business easily access the needed materials on demand. Cloud Hosting is one of the top choices among web hosting services. Websites need hosting services to stay online to keep the business accessible to their clients. Staying online means staying in the virtual market. This existence in the online business industry translates into sales as much as accessibility to physical stores increase revenue. In the age of Ecommerce, a small and medium business can benefit from the flexibility and practicality of using cloud hosting so new businesses can stick to their budget and still get the quality web hosting service they need to compete in the Ecommerce industry.